A pair of recently-uploaded YouTube videos follow. The first is the long-gestating tutorial for the Diamond Skewb. I tried to make this video twice and both times the puzzle exploded on me. That just let pieces everywhere and no inspiration to fix/record a movie. So, I finally got around to it. This is an update to my Skewb & Skewb Diamond Algorithms post from last year. The second video is just stupidity. This is from when I went to Universal Studios Hollywood in 2003. Mat and I were on the Jaws exhibit and as he rose from the depths, I got my camera right on in there and then…DEATH. Absurd. Don’t watch this, it’s a waste of your life. SFV: Ken vs. Ken – Epic Finale! Old-school Ken vs. Ken matchup in Street Fighter V. I’m the Ken with gold pants on the left. You’ll notice I get decimated for the first portion of this match. How does it end? In classic SF fashion! Enjoy! In the 1990s I started reading Tolkien. In the 2000s, we were given the spectacular film conversions of The Lord Of The Rings. In the 2010s, we have another epic journey to embark upon. I was so excited about this movie. In fact, no movie since Return Of The King had me so compelled to plunk down my cash and spend hours in a theater. Of course, in the ’90s I was young and now I’m riddled with responsibility. I think that’s what makes this more profound for me. Tolkien’s masterpieces follow us through our own epic journeys. Perhaps this is all too dramatic, but as the New Line logo came and went, Howard Shore’s familiar tunes entered my ears and I returned to Middle Earth, it was so reassuring to see certain images on the screen precisely as I have seen them in my head for 15 years. It was all too amazing to see Erebor’s hoards of gold torn directly from the images my imagination conjured up. While very few of the Dwarves really did the same for me, I loved their diversity (something hardly addressed in the book) and it was wonderful seeing Thorin change his opinion of Bilbo. Spanning three movies, I expected it to be slow. Martin Freeman’s portrayal of Bilbo was spot-on IMO, blundering yet innately brave, he was amazing. 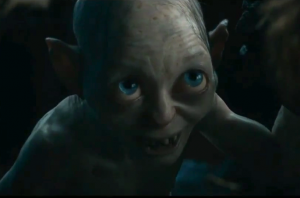 The scene with Gollum was another essentially identical to what I’d envisioned. I felt sadness for Smeagol, his pain and suffering. The meeting of Elrond, Gandalf, Galadriel and Saruman was total fiction, but for those of us who cared, it carried such weight. Thousands of years of knowledge, wisdom, power (and rings! All three elven rings, to be precise) all together in one meeting! And such a meeting in Rivendell for that matter! Again, it warmed my heart to return to this imaginary place. That may make no sense at all, but it was a remarkable feeling. Dol Guldur, Radagast, Hobbiton, it was all great. I thought the Goblin King was too cheesy; I don’t understand the need to make him so goofy. The Hobbit: An Unexpected Journey is no LotR. That’s quite fine by me. It is not without flaws but in so many ways it was exactly what I wanted…and needed. The Misty Mountains song was amazing and I’m posting Neil Finn’s version of Song of the Lonely Mountain below because it was so phenomenal. 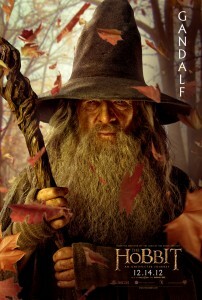 The Hobbit: Trailer #2 – Getting Psyched! This has been a pretty good week. The Yankees are playing last-place teams, which gives the sense of great success. I’m currently joy puking my face off. The Resident Evil 6 demo hit (thoughts soon) and a new trailer for The Hobbit has surfaced. I’m rather thrilled about all of these things but of course, I’m exceedingly excited to see what Peter Jackson has done with my beloved J.R.R. Tolkien novel. I picked up Lord Of The Rings in the late 90s after a lifetime of desiring to read it. Considering my collection is massive (I should take a pic), it’s safe to say I love his stuff. I love the LotR film trilogy. Obviously I’m looking forward to The Hobbit. The new trailer is exciting and gives a real glimpse of the light-hearted nature of the book. I’m curious to see Radagast, though through all my readings, I know (and care) rather little. The only real downside is knowing there are two other films, so Smaug and the massive Battle Of Five Armies aren’t shown. However, it also means that those two things should be given proper attention and not glossed over at all. Man…I’m even more psyched now that I got thinking about it! Definitely re-reading this soon, or, in the very least, listening to the audio book on the way to work. Less than three months!!! After the last day of school, we went up to Grand Falls in Canada with Erin’s cousin’s family and went ziplining! Although my foot was a disaster, not going was not an option. I convinced Erin to go and we have a video of each of us! Many thanks to everyone over at Zip Zag for making this an awesome experience! Videos below! I haven’t listened to this in several years. On the way to work yesterday, something from Nordland II came on and I had vivid memories of driving out east on Long Island. It was a bright spring day and everything was just beginning to come to life. 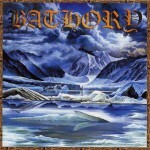 It was an interesting time of my life, for certain, but I remember how much I loved these two Nordland records (the second more than the first). 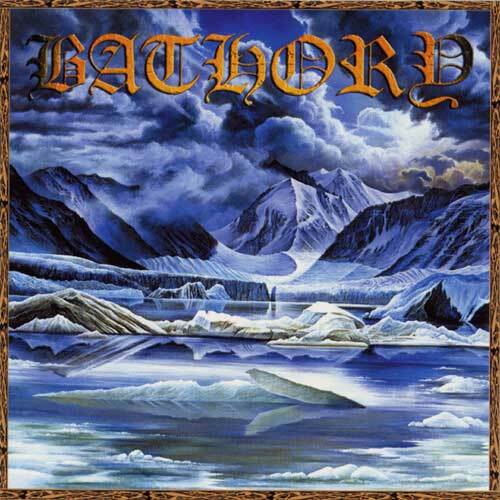 On the way to work this morning, another Bathory song came on. Another flood of memories and utter fascination. This stuff rocks! (The production, of course, does not). Anyway, here is the song that came on this morning. So good! Oh I miss E3. Having gone four years in a row, I almost avoid all coverage because I should be there (or something). 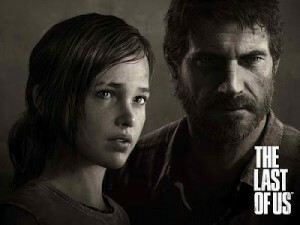 Anyways, as a HUGE fan of the Uncharted series, the news of Naughty Dog’s The Last Of Us was eagerly eaten up. First, the game looks outrageously good. I mean…this could be the best-looking game I’ve ever laid eyes on. Second, OMG, this looks insane! This trailer below ends on an intense note. Clearly they’re not holding back. I’m not entirely sure the setting…I know there are zombie things going on, but I almost don’t care. This could rock! OK, we’ve established I’m a cubing geek. With that out of the way, I decided to make a tutorial on how to solve the Windmill Cube. I’m rather fond of this puzzle; it’s fun and looks pretty cool. However, I thought I could do a better job at a tutorial on how to solve the thing, so I decided to make one. It’s not my first video-editing project, of course, but it’s my first cubing video. So…I’ll post it here, though I can’t see anyone deciding to check it out unless you had a need…which you don’t. Who cares? I had fun making it! Ys Origin launches today via Steam and it is the long-awaited official English localization. This is the last major Ys game to be released here in the States and it’s $20. It looks like…Ys and is likely nothing much more. However, it’s awesome to see support continue for the series, and with four titles on the PSP, another coming on the Vita and now this, it’s like an Ys genesis here in the U.S.! In the very least, the music is legendary. Brings me back to 1990. Man, I’m old.